Free up space lets users remove unwanted apps, while the My subscription tab lets them see which apps, TV shows or magazines that they have subscribed to. Google may be planning to introduce a more convenient way to remove unused apps and see all of the user’s subscriptions at a single place. In separate reports, 9to5Google and Android Police report that the company has been testing two new features in the Play Store. 9to5Google reports that users may soon get an option to free up space on their device under the ‘My apps & games’. In case the user is running out of space, they can head over to that section and see a list of apps installed on their device. This list is sorted as per frequency of use, and should make it easier for users to decide which apps they want to uninstall. 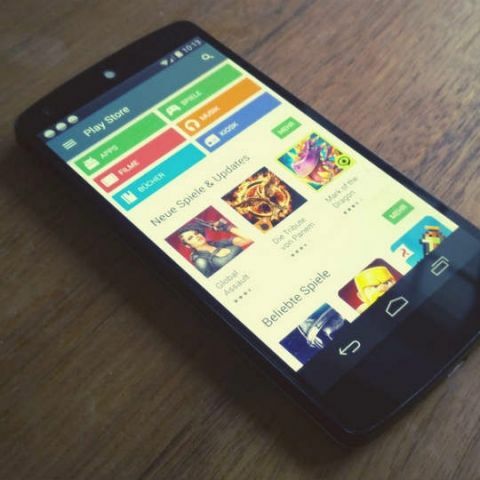 Android Police reports that some users are seeing a new ‘Subscriptions’ tab under the ‘My apps & games’ section. If the user has subscribed to any apps, TV shows or magazines through the Play Store, it will be displayed in this section. Google recently launched its Files Go app for users, which is aimed at freeing up storage space on their devices. The app can delete duplicate files, unused apps and more. It can also help users monitor storage space and find files. It is also capable of letting users transfer files. Besides this, the company also recently launches its Arts & Culture app that can let users find out which piece of art they look like by taking a selfie. The feature was initially restricted to the US, but was later made available in India. Google also recently launched audiobooks on the Play Store, with a 50 percent discount to anyone purchasing their first audiobook.